In a depressing, semi-apocalyptic year defined by reactionary responses to globalism, it’s fair to ask ourselves what, exactly, we are celebrating, when we celebrate the annual release of Beaujolais Nouveau on Thursday. Is Beaujolais Nouveau a symbol of international marketing run amok, an artificial wine-like confection of sugared-up, overproduced grapes, aimed straight at the lower rungs of the world’s supermarket shelves? 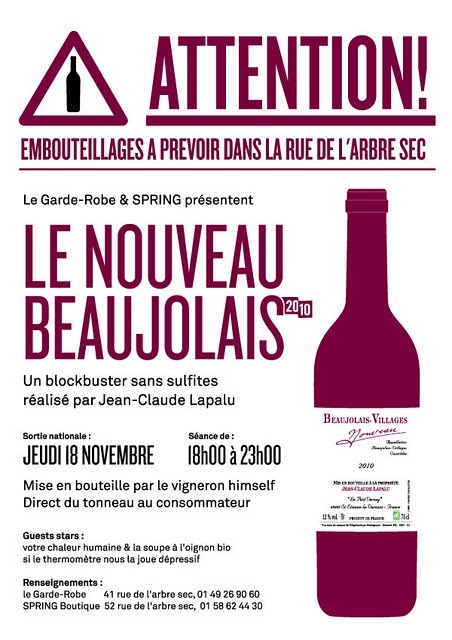 Or does Beaujolais Nouveau represent rather the opposite: an homage to local tradition, a village fête for newborn wines, fragile and pure? It depends where one celebrates. 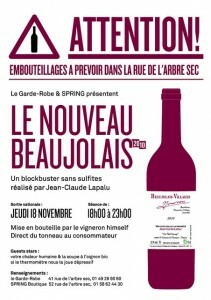 In liquor stores, chain wine shops, and supermarkets around the world, believe the worst about Beaujolais Nouveau. 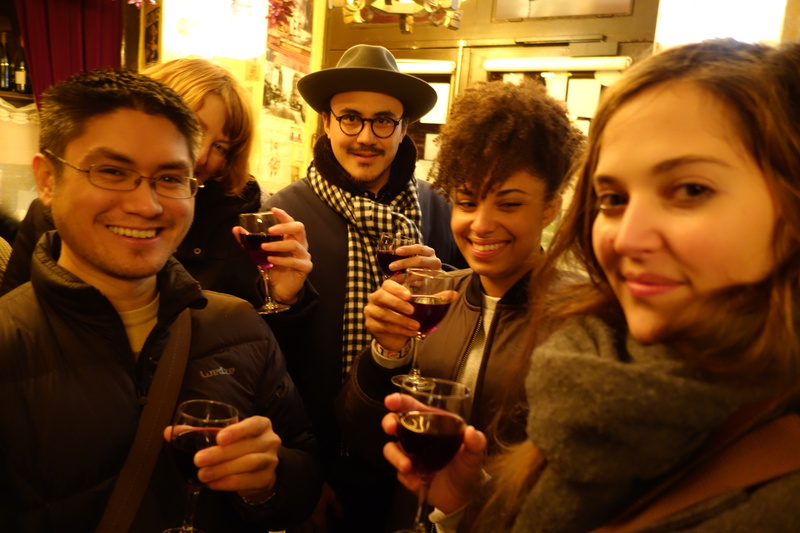 But Beaujolais Nouveau in Paris is something else. 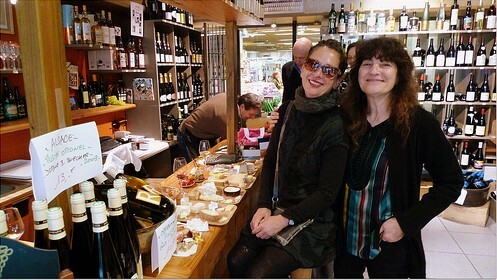 The city’s traditional bars and bistrots enjoy unparalleled access to France’s natural wine scene, where many winemakers manage to produce unadulterated primeur wines that retain the fleeting, keen flavors of their village origins. 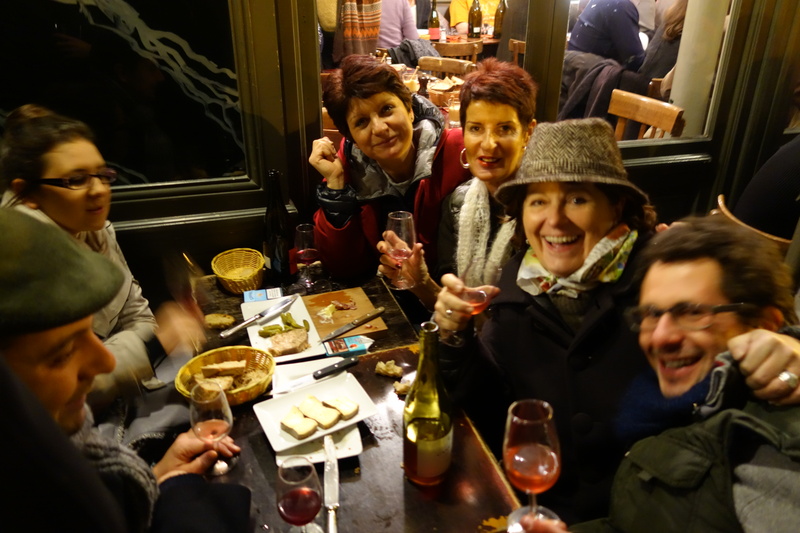 So in Paris in 2016 we can raise a glass to the ironic destiny of well-made Beaujolais Nouveau – a simple village wine that, merely by maintaining its simplicity, can become a curious luxury. Beaujolais Nouveau is rather like gin – people who won’t touch the stuff usually have a legendarily bad story to tell involving a harrowing experience with the worst product imaginable. At its worst, Beaujolais Nouveau is indeed something less than a wine, a creepy under-aged creation of greenish grapes rouged up with sugar and sulfur. But just as the last two decades’ international cocktail renaissance has redeemed gin for many drinkers, so too does Paris’ booming natural wine scene contain the redemption of Beaujolais Nouveau – a quaff that, at its best, is a dashing, sun-dappled débutante of a wine, a pristine and lively beverage whose unseriousness is a big part of its charm. The annual festival of barely-fermented wine is almost upon us, so we’ve rounded up a few ideas to help you get your headache on. Free dégustation of Vins Nouveaux direct from the barrel, “ni filtré, ni collé, ni sulfité…” Winemakers to include Mas de l’Anglore, Chassorney, Morentin, Foillard, Foulards Rouges. 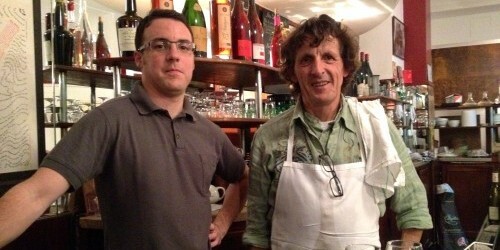 The wine bar and the wine shop have teamed up to throw what will undoubtedly be the best Beaujolais party in town. According to Spring, winemaker Jean-Claude Lapalu will be “coming from the Beaujolais with a barrel of zero sulfite gamay, a funnel, 25 cases of empty bottles, and a corking machine. 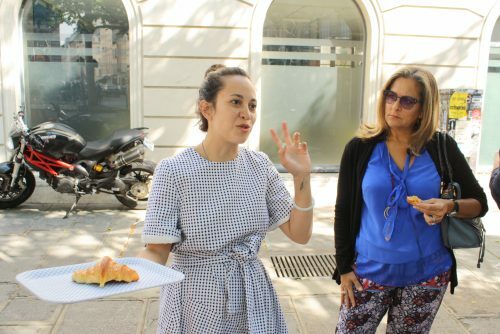 We’ll have the soup and the saucisson.” Our advice: get there early if you want a taste of soup, buy your own bottle so that you don’t wait in line at the bar, and be ready to dance in the street between the two locations.